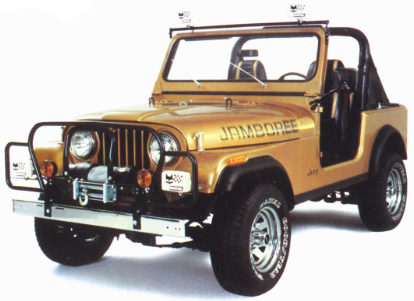 The Jambo came standard with AMC's 258 ci engine. This was an upgrade from the 151 ci 4-cyl. The 258 produces 145 hp @ 4300 rpm and 215 ft-lb of torque at 1600 rpm. Though the 304 ci V8, which was discontinued after 1981, is sexier, most off-road enthusiasts believe the 258 is superior to the 304 because of its much better low-rpm torque. You can read more about the engine, including date coding, here. 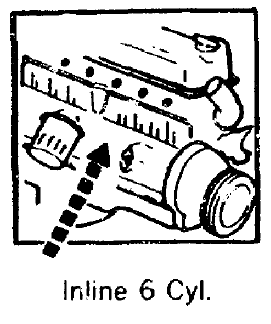 The engine date code is located on the engine block, between the 2nd and 3rd spark plug. This location is shown in the figure below. The code is a six digit code. An example is shown on the right. This code reads 206C18. This means 1982 (2), June (06), 258 (C), 18th of the month (18). So, this 258 was built 6-18-82. 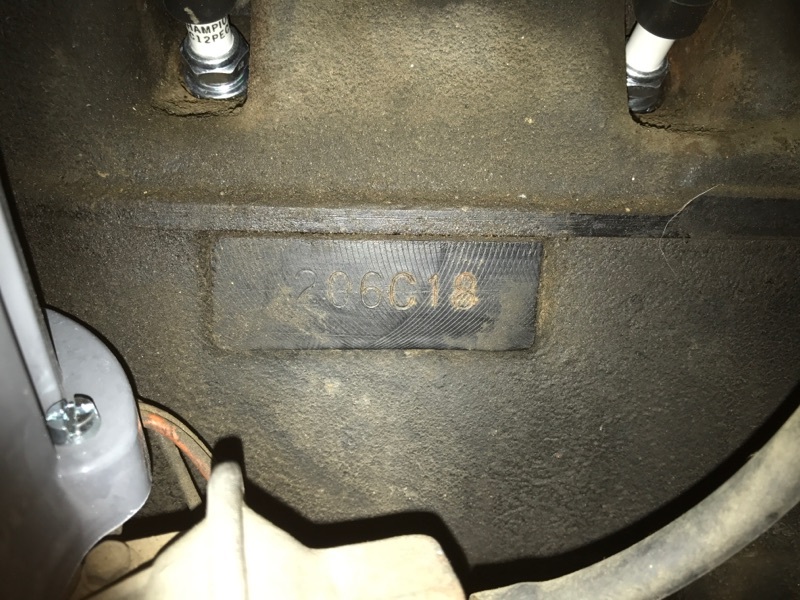 Here is a link that details all AMC engine codes.